I’ve been nominated for a Readership Award 🙂 Thank you, Combat Babe! Inform the readers with either comments or pingbacks. A great reader is someone who comments on your posts (or “likes” them) because they’ve actually read what you have written and want to send their encouragement or opinion. Great readers give you the energy to blog again and again, they genuinely appreciate (and reciprocate) your honesty, and if you met in real life you’d more than likely be their friend. Combat Babe (it doesn’t say that I cannot nominate my nominator)! Thank you for your nonjudgmental compassion, for your empathy, for your positive energy. Thank you for enlightening me. Thank you for listening. Thank you for responding. 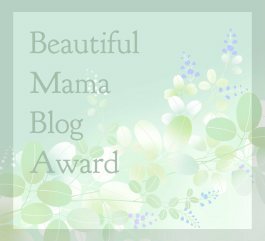 A huge THANK YOU to Julia of Wailings of a Work at Home Mom who nominated me for the Beautiful Mama Blog Award! Julia continuously reminds me that one of the greatest joys of motherhood is reliving your childhood with your children. I always thought I’d be a wonderful mother because I could empathize so well with children. I was a great babysitter, the coolest camp counselor, and the biggest clown all-around. I thought I’d never lose my playful spirit, my outgoing persona, my zest for adventure. I may not have lost those pieces of me, but they’ve certainly been suppressed by the negativity of the past eight years. I want to enjoy life the way I used to; back when I was making life and life wasn’t making me, back when I saw beauty in the simplicity of things, as children do. Click the above image and use it in your acceptance post. List three things you love about motherhood. Pregnancy and Birth- no matter how discomforting, trying, grueling, intense, or any million types of difficult these stages can be, they are also amazing, sacred, awe-inspiring gifts from nature. Nothing humbles me more. I cherish the sacrifice, and in those hours, days, months, I am the strongest woman I’ve ever been, fueling my passion to become the strongest mother the world has ever seen. Watching them grow– It’s bittersweet to watch your babies growing so quickly into the unique people they’ll be. Part of you wishes they could be babies forever, part of you wants them out of the house for all but holidays. They are so beautiful, you hope to capture every quirky grin and cute costume and milestone. They are so beautiful, and you cannot help but to think of the future, when people will desire them, and you hope you’ve taught them well enough to choose wisely. Learning from them– Being a mother has taught me an enormous amount. From how I behave when I’m disappointed to how to unconditionally love someone. But I’ve not only learned emotional lessons; teaching them forces me to learn things, pleasing them forces me to try things, keeping them safe has given me the drive to create harmony in our household, and they constantly inspire me to be the best mama I can be. 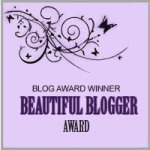 My thanks go out to the ever so phenomenal Combat Babe for gracing me with yet another blogger award. I must admit that half of my awards would not exist were it not for her passing on to me her nominations. I humbly accept both the award and the honor of being given another nod by such a wonderful woman. I am STILL pregnant. Don’t get me wrong, I’ve made a vow to be patient and I’m sticking with it. It’s just so difficult to get anything done while I’m waiting for Baby to come. I want to meet her so badly! I’m only four days overdue so I need to calm down, I know, it’s just…ugh! When will she be here?! I love being a mother; my children are the most precious pieces of my existence. Every day I strive to be a better mother than I was the day before. I’m very hard on myself about pretty much everything. This can be a good motivator, but it also leads to my self-loathing. Say what you will, but I’m going to own a mega yacht someday. I have a really hard time asking people for and accepting their assistance. I’ve always been the helper, the doer, the giver, the people pleaser, the shoulder to cry on. Now I need help, but I don’t want to bother anyone. May all of my nominees know how inspirational I find your stories, and how appreciative I am that you share them. Thank you! 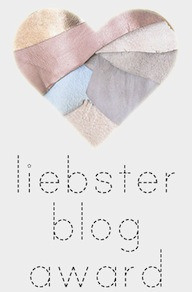 I’ve been nominated for my second Liebster Blog Award, this time by Melanie of Deliberate Donkey. I am incredibly grateful for the award and hope my nominees will also accept, have fun with fulfilling the obligations, and enjoy paying it forward! Answer your nominator’s questions and then create 11 questions for the people you’ve nominated to answer. Choose 11 people to nominate and link them in your post. No tag backs! I love(d) skateboarding. I wish I could do it again…maybe someday. I was awarded Class Clown and Biggest Mouth in high school. I don’t remember my life before the age of nine. I really loved being nine. I am due with my third daughter in 19 days!!! I love yoga and aspire to do it daily. I never thought that I’d enjoy playing Angry Birds, but I do! I’m the person that everyone likes to tell their secrets to…I keep them well. 1. What is your favorite tree? Weeping Willows. They’re so beautiful and secretive. I’d like to hang out under them all day and watch them sway to the gentle breeze. 2. If you could breath under water would you ever return to land? 3. Could you live without cable TV? It’s actually unusual for me to have cable TV. I have it now, but I’ll probably cancel it again when the promo ends. 4. If you were President of the US, what kind of dog would you get? Would it be inhumane to have a constant supply of puppies? Any breed, just…puppies! 5. How long has your best friend been your best friend? 6. Do you fear change or embrace change? Both? I like it when things stay constant; I’d prefer to not even change the furniture around unless absolutely necessary, but when change is inevitable I manage the transition courageously. 7. If you won one million dollars and had to give it away, who would you give it to? 8. Are you a morning person or a night owl? I’m actually a morning person, but I pose as a night owl lately due to this incurable insomnia. 9. Where was the last place you traveled; when and why? 10. How often do you have breakfast for dinner? So I’m not the only one?! Wow…I do this a lot lately. I’m often not hungry when I feed the girls due to someone’s foot being lodged in my stomach, so I eat after putting them to bed. It’s too big of a hassle to warm up dinner, so cereal suffices. Three times a week? 11. Do you prefer paper books, e-books, or audio books? Books are my passion. I could never completely part from my printed books, but I do more of my pleasure reading on playaways lately. I just don’t have the time to sit down and read, but if the content is read to me while I’m multitasking I can still enjoy it. Do you have a baby name picked out for a child you’ll probably never have? If so, what is it? Can an alpha male be a nice guy too? Have you ever seen the ocean? Which one? If you saw one, did you swim in it? Will you be attending/hosting a super bowl party this year? Either way, which team are your rooting for? Have you ever allowed someone to cheat by using your work as their own? When was the last time you cried tears of joy? Do you have a favorite sibling? child? parent? Would you ever admit it to anyone face to face? Have you ever been the president of anything? How did human beings come to exist? Is Valentine’s Day something you celebrate? Why or why not. My dear thanks go out to Prego and the Loon for nominating me for her Prego Project – Voicing Violence Award. This award was created in support of those affected by domestic violence. Victims are not only the people being abused; friends and family members of the abused suffer as well. This award was created to build unity among victims of domestic violence, to shed light on the truth behind closed doors, to give a voice to the pain so often locked in silence and hidden by isolation. It is a bittersweet honor for me to accept this award. I never wanted to be seen as a victim of domestic violence. I stayed in denial for so long. After nearly eight years of pretending that I had the perfect marriage while my distance grew between family and friends, and the relationship of my dreams was draining me of all happiness and all hope, I broke the silence. Speaking out about what happened to me kept me from hiding it from myself. It was so much easier to handle if no one knew. I could almost pretend that nothing had happened if I didn’t tell anyone. No one had to know of the names he called me, of the spit in my face, of being forced down the staircase with my neck in his grasp. But if I’d just stayed silent about it, nothing would’ve change. Here’s to hope that my voice, my stories, and other victims’ bravery to tell of their experiences with domestic violence, will have a positive effect on the statistics of these incidents occurring. 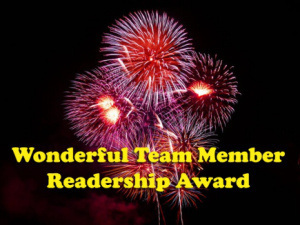 Kindly thank the person who nominated you, and provide a link back to their blog. Attach the Prego Project Award presented by Prego and the Loon to your site. Provide a bit of hope and inspiration for those currently dealing with domestic violence. 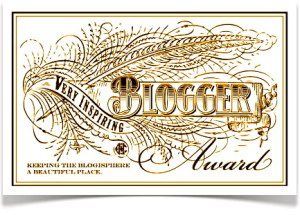 Nominate some other bloggers whom you feel deserve this award! I am blogging with a candor that comes intrinsically, but I haven’t told you much about what happened to me. Telling you everything could jeopardize my safety and the legal proceedings revolving around The Big Incident. I will say this much for now – my husband was indicted last week. The grand jury’s decision to charge him with a felony for what he did to me during The Big Incident came after nearly seven anxiety-filled months of me not knowing how my case would be handled. The waiting has been very hard for me. I have gone through every conceivable emotion regarding this case and someday I will explain more about the specifics of being a victim in a case such as this. I am still terrified that he is going to try to kill me, especially now that he may go to jail for decades if he is convicted. I still do not feel safe, even though he is supposedly living over 1000 miles away. I am too far past that to really believe it is true. I know now that no matter what I went through, no matter how much I loved him (and still do), no matter how many times I came back and gave him one more “one last chance,” I would have been abused. Every time I came back to him the abuse was more violent. Every time I chose to stay silent about it, the cycle continued. Only after The Big Incident, after an event so scarring and debilitating, where I was stripped of every ounce of control, did I find the strength to start speaking out. I could no longer be in denial. Ignoring my situation was no longer an option; if I didn’t tell someone, if I didn’t go to the police, if I didn’t get a restraining order, if I didn’t find a support system, if I didn’t get away from him once and for all, it would be the end of me. The thought of living the rest of my life being abused was too much for me. For eight years I’d held out hope, I’d nurtured the illusion of him reaching his potential with my assistance. I’d bowed down and worshiped his entirety. I wanted so badly for him to approve of me. I tried everything to earn his love. After The Big Incident, however, I’d had enough. At 27 years old I finally stopped denying that the man I had loved since I was a teenager wasn’t ever going to change. He wasn’t ever going to be the man I needed him to be or love me the way I wanted to be loved. He wasn’t ever going to treat our children the way I felt they deserved to be treated. He wasn’t ever going to see me as anything other than his possession. After The Big Incident I could no longer let it matter to me if he was abusing me on purpose or not; if he knew how badly he’d hurt me; if he acted this way because of his painful youth and negative upbringing; if he couldn’t love me because he couldn’t love himself; if he swore that he needed me, and that we needed one another. He would always abuse me. And I couldn’t keep quiet any longer. This is only the beginning of my journey. His influence is still evident in my decision-making, in my views of myself, in my preparation for the future. I still worry about him daily and wonder what he is thinking about me. Our three children, one still growing in my belly, will forever remain a link between us. I will always wish there would’ve been something I could’ve done to have made my marriage work. The legal proceedings may take years before things are completed, and I may never stop having nightmares. I will, however, continue to speak out about domestic violence. Too many abusers aren’t held accountable for the pain they cause, the fear they inflict, the lives they ruin. Too many victims are voiceless. Too often society imagines domestic violence as a problem of the past. Domestic violence has not gone away, it has adapted. Every victim’s story gives another the strength to speak out. I hope that in some way I have helped. Go! Win! Fight! Fly Free!